On the doorstep of Africa, Saharan sands and Atlas peaks create an electrifying backdrop for the sights, sounds, and intoxicating smells of Moroccan life. Bridging the Atlantic and the Mediterranean and stretching from Saharan sands to cedar groves in the Atlas high country, Morocco is as diverse as they come. In its biggest city, Casablanca, Old World glamor and romance persists amid ultra-modern infrastructure such as the Morocco Mall (Africa’s largest shopping complex) and the upscale Casablanca Marina. Other great Moroccan hubs include Rabat (the capital), Fes, and Tangier, a seductive city at the mouth of the Strait of Gibraltor. Embrace the sophisticated flavors of Moroccan cuisine, where Berber and Moorish influences come marinated in European accents. Nutritious couscous is a go-to base for both vegetable and meat dishes. No trip to Morocco is complete without a bit of warm-hearted socializing over a pot or two of mint tea. 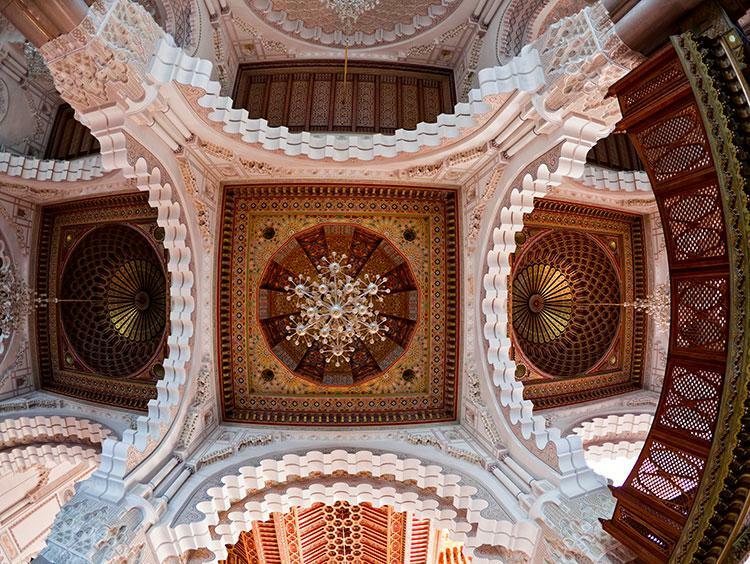 As found in much of its architecture, Morocco itself is something of a colorful mosaic. The culture that one ultimately encounters today when traveling there is a Berber one that over a few thousand years has been influenced by the Phoenician, Roman, Visigoth, Jewish, Byzantine, Arabic, Spanish, Portuguese and French cultures brought by its many diverse inhabitants. In terms of sightseeing, visitors are often awestruck by Morocco's rich, cultural patrimony. It already has a whopping nine World Heritage Sites and another eleven that are pending approval. Much of the country's superb architecture and beautiful music greatly resemble what one would expect to find in Spain's Andalusia region. Vacationers to Morocco can experience amazing mosques, historic ksars (North African castles), interesting museums, cosmopolitan cities, European seaside villages, great shopping, medieval Koranic schools, spectacular palaces, the world's oldest university, ancient ruins, fairy-tale gardens, local markets selling traditional Berber crafts, and squares teeming with snake charmers, tea cafes, rhythmic music and tasty food stalls. Morocco is a foodie paradise rife with great diversity that beautifully blends Berber, Arabic, Mediterranean and European elements into truly tasty dishes that include tagines; slow-roasted lamb, chicken and beef dishes served with couscous; and harira soup. Visitors wandering the vibrant souks of cities like Marrakech, Tangier and Fes, will encounter stall after stall selling citrus fruits, olives, figs, dates and spices like saffron, cinnamon, ginger, coriander and paprika. Cities like Rabat and Casablanca boast terrific restaurant scenes, and due to Morocco having both Atlantic and Mediterranean coastlines, you can bet the seafood here is out of this world, with villages like Oualidia particularly famed for their freshly-caught oysters. Concerning beverages, most locals tend to drink green tea infused with mint, and lovely neighborhood cafes serving it are plentiful; in general, Morocco has a wonderfully-pleasant cafÃ© culture. And while many don't automatically think of it, Morocco is steadily producing top-quality wines, primarily around the cities of Meknes, Essaouira and Casablanca. The vast majority are red and heavily French-influenced, and some wine estates regularly offer wine tastings to visitors. Morocco also produces several very good beers including one called Casablanca, which is a pale lager commonly found throughout the country. Stretching across Africa's northwestern corner, Morocco borders Algeria, Mauritania, the Mediterranean Sea and the Atlantic Ocean. Geographically (and historically) it is very connected with its neighboring European nation of Spain, which borders Morocco in three distinct ways: 1) just north of Morocco in Europe lies Spain's southernmost, continental region, Andalusia; 2) Spain's Canary Islands lie due west of Morocco in the Atlantic Ocean; and 3) on the African coast and directly touching Morocco, Spain still controls the two African cities of Ceuta and Melilla. 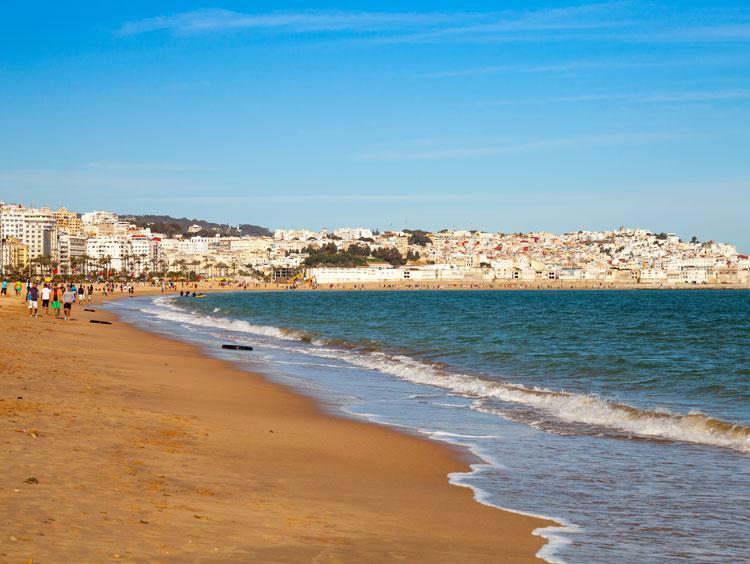 Morocco is also a short ferry ride away from the British Overseas Territory of Gibraltar. Home to many diverse landscapes, visitors to Morocco can have their fill of sandy beaches, snow-capped mountains, cedar forests, scenic waterfalls, sunny vineyards, dramatic gorges and Saharan sand dunes. Besides the clearly-compelling reason to explore Morocco for its cultural value, sports fans and active tourists continually flock there to enjoy hiking, surfing, mountain climbing, camel riding or skiing in outstandingly-beautiful landscapes. These lands of Morocco have played an important role in history since antiquity. Many of its cities' origins date back to 2500 years ago. Indigenous Berbers, ancient Phoenician traders, Roman soldiers, Vandal invaders, Jewish scholars, Arabic dynasties, Spanish Muslims and French colonists are just some of the groups who have played a part in Morocco's colorful history. And beyond today's boundaries, Morocco has played an important role in the history of Europe and Africa. In fact, for several hundred years during the Middle Ages, the ruling Berber dynasties from Morocco, controlled vast portions of today's Spain and Portugal and majorly impacted Iberian cities like Seville, Granada, Cordoba, Valencia and Lisbon. 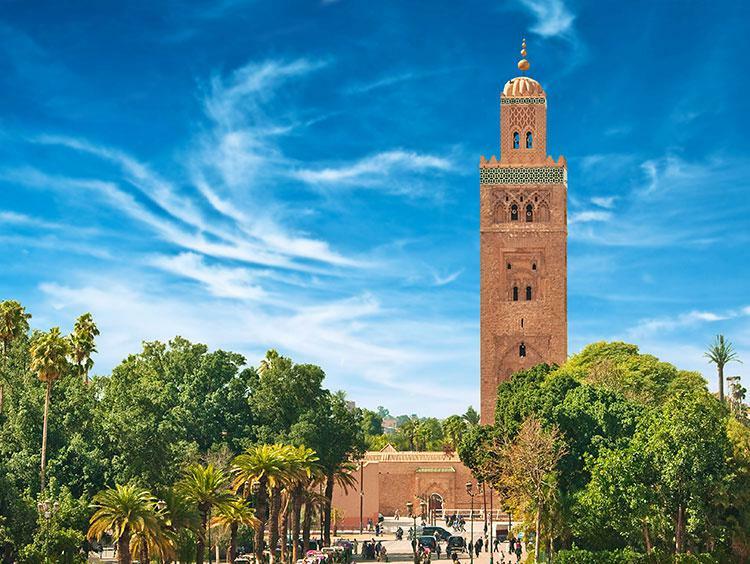 Visitors traveling through Morocco will find a treasure chest of historical sites including Roman archeological sites like Volubilis, early-Medieval medinas, ancient fortified castles, 16th-century Portuguese cities, and French-colonial neighborhoods in modern cities like Casablanca.